Simon is a Commercial and Chancery litigator. Whilst he advises on transactions, he is usually called upon when a dispute has arisen or is about to arise. His aim is to identify with his clients the strengths and weaknesses of their position and the options and solutions available to them. Having identified with his clients their requirements, Simon is able to use the litigation process as a means of achieving those requirements, be it through negotiation, mediation or litigation and trial. Simon also works as a mediator. 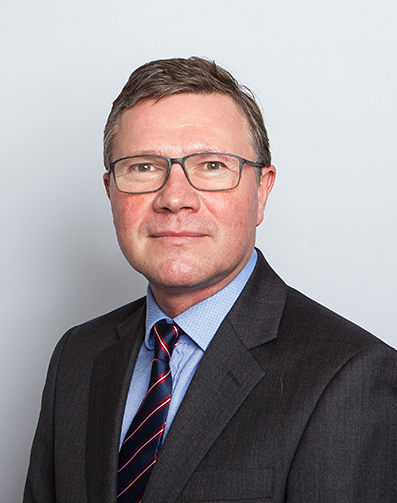 Simon has for a number of years been recognised as a leading individual in the fields of Commercial and Chancery litigation by both The Legal 500 and Chambers & Partners. Simon’s practice inevitably includes a number of claims where allegations of fraud are made and where the need may arise for relief by way of Freezing Order and Search Order or other urgent interlocutory relief. He is a member of the Chancery Bar Association. Taylor v Burton  EWCA Civ 142 – confirming the “subject to contract” principle that it was open to either side, at any time before the entry into such a formal contract, to withdraw from the negotiations; and, moreover, counsel’s agreed tendering of a draft form of order on behalf of the parties did not evince an intention on their part to expunge the “subject to contract” qualification. Costar UK Limited v Low and others  EWHC 1262 (Ch) – a rather unusual decision to the effect that not only does a non-party have standing to be heard on an application to join him as a party but, more importantly, if he neither consents to being joined nor attends the hearing at which the application for joinder is heard, he is at risk on costs. White Digital Media Ltd v Weaver  EWHC 1681 (QB) – confirming that post-employment restrictive covenants were unenforceable unless the restriction was for the protection of the employer’s legitimate business interests and that the restriction extended no further than was reasonably necessary for the protection of those interests; the whole of the restrictive covenant in a non-compete deed was unenforceable because it tried to restrain the employee from being involved in a competing business as a shareholder or in any other capacity. Markou v Goodwin and others  All ER (D) 329 (Nugee J) – the will of the elderly testatrix found to be invalid for want of testamentary capacity by reason of an underlying dementing illness and occasions of acute confusional state in connection with two hospital admissions before and after the making of the will. Simpson v Norfolk and Norwich University Hospital NHS Trust  2 WLR 873 (CA) – assignment/champerty: establishing that a cause of action in tort for damages for personal injury is a “legal thing in action” within the meaning of s136 of the Law of Property Act 1925 and capable of assignment; but that as a matter of public policy the court would not recognise an assignment of a bare right to litigate in the absence of the assignee having a legitimate interest justifying the assignment. Hewett v First Plus Financial Group plc  2 P&CR 22 (CA) – undue influence: explaining undue influence in the context of the obligation of “candour and fairness” between certain parties to a transaction (in this case husband and wife). Re. Key (deceased)  1 WLR 2020 (Ch D) – testamentary capacity and knowledge and approval: involving a development of the Banks v Goodfellow test so as to take into account “decision-making powers” rather than just “comprehension”.